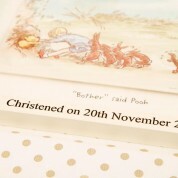 Our official classic Winnie the Pooh print is a wonderful christening gift for a little boy or girl. 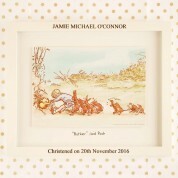 Featuring the iconic scene of Christopher Robin, Piglet and a team of woodland creatures attempt to free Pooh from the hole leading to Rabbit's home in the 100 Acre Wood. The drawing is in the style of EH Shepard's wonderful original illustrations and coloured in a watercolour finish. The print is mounted in a floating style in a slightly lemon yellow frame that compliments the print wonderfully. 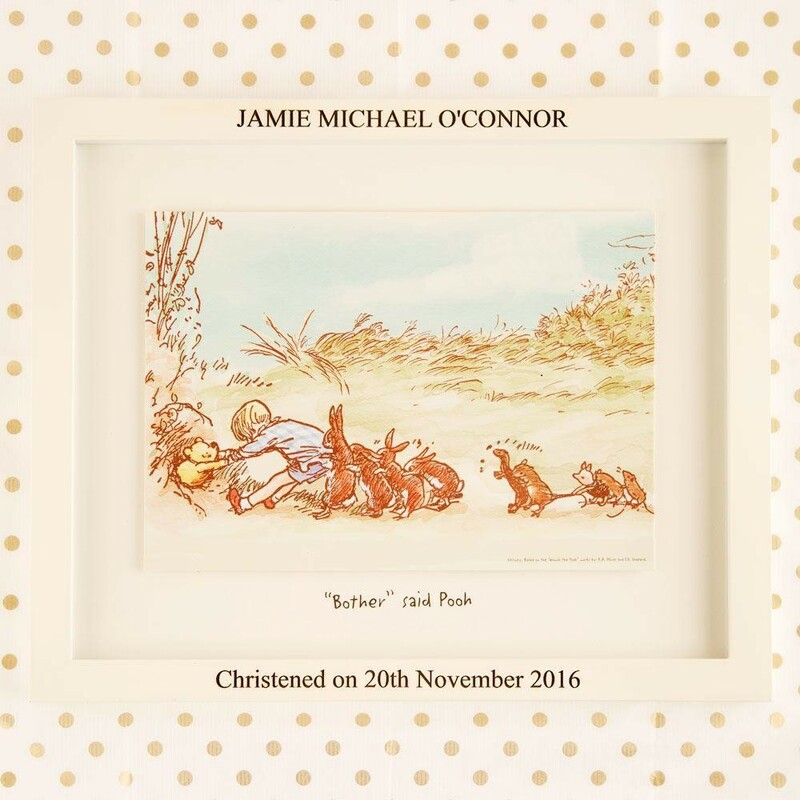 Our professional team will carefully laser engrave the top and bottom of the frame with the child's name and christening details, making this a fantastic keepsake! The frame comes complete with an attached hook for easy display in the child's bedroom. 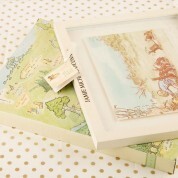 The frame comes in a yellow gift box with a map of the 100 Acre Wood on the back, along with a small gift tag.